This post may contain affiliate links. As an Amazon Associate I earn from qualifying purchases. See my disclosure. Last updated on May 11th, 2018. 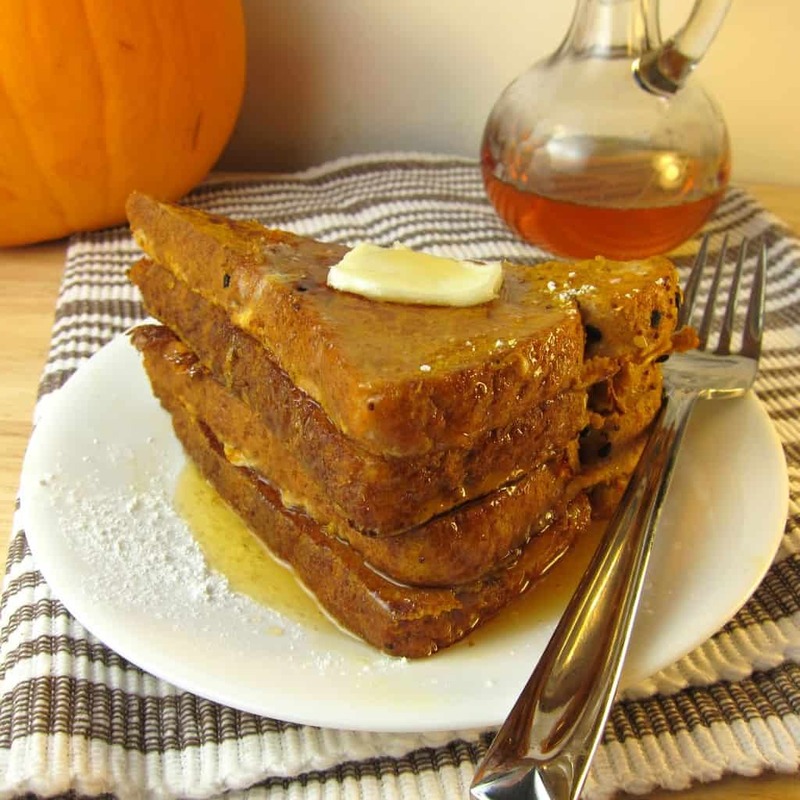 Make this Pumpkin French Toast for a special breakfast. 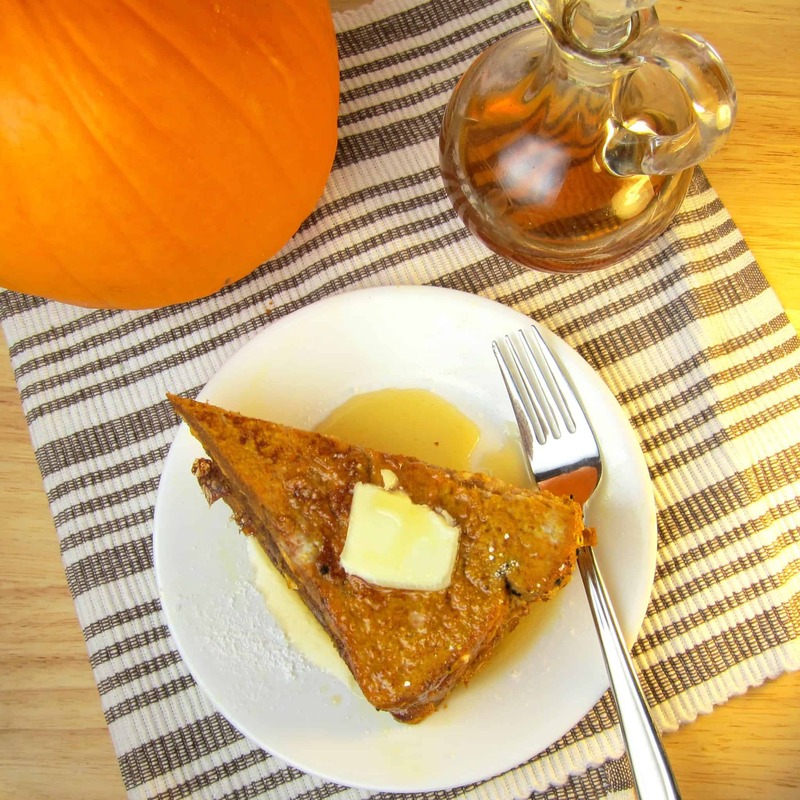 You’ll love the real pumpkin and fresh pumpkin spices used in this version of the French toast recipe. 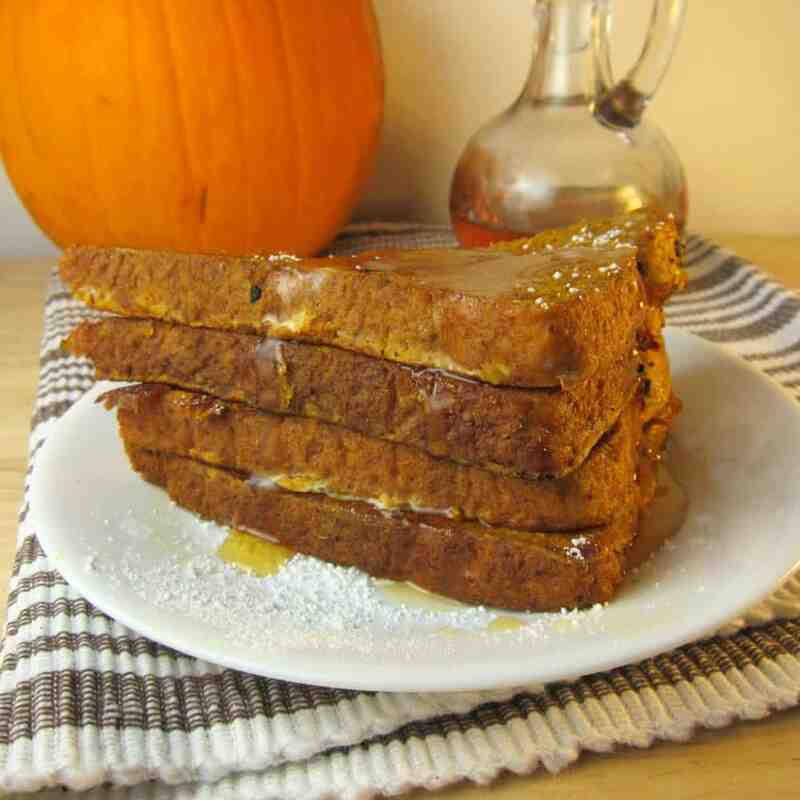 I LOVE this pumpkin french toast. But I don’t even care, pumpkin and pumpkin spices are so good, I will make Aldo eat pumpkin things for breakfast and HE WILL LIKE THEM. My only rule is that if things are called “pumpkin” they MUST contain pumpkin. And if something is called “pumpkin spice,” then it must contain real spices, instead of flavorings. So as you see, I can be picky about my pumpkin stuff, which is why I like to cook pumpkin foods at home. One of the reasons I love this french toast recipe is because there is actual pumpkin puree in here! And that it’s not any harder to make than regular french toast, so there really isn’t any reason NOT to put pumpkin into your french toast, right? I used whole wheat bread for this recipe because we are trying to cut down on white bread/flour, but obviously challah, Texas toast, or any white bread would be amazing for this Pumpkin French Toast recipe. So use whatever type of bread you prefer. You can also substitute 1.5-2 teaspoons pumpkin pie spice instead of all the spices I list below – it will cut down on the prep time a little. In a small bowl that is large enough to fit one piece of bread, combine all the ingredients from the eggs to the salt. Mix well with a whisk. Heat a teaspoon of coconut oil or nutter in a non-stick skillet. Dip the bread into the pumpkin mixture until it's soaked on both sides. Cook the soaked bread on each side for 2-3 minutes over medium heat, or until as done as desired - longer for browned crispier french toast, less time for a softer french toast. Repeat step 2 with the remaining pieces of bread. I really like French toast for a special breakfast and pumpkin sure says Merry Christmas to me. French toast is so easy to make, I don’t know why I save it for special breakfasts. Pancakes are the ones that are harder to make yet I make those all the time. You’ve done it again. This is just brilliant! I can practically taste it. As an Amazon Associate I earn from qualifying purchases. See my full disclosure.